Hypocenter depth recalculated from 589.0 to 583.0 km. Hypocenter depth recalculated from 583.0 to 581.0 km. Hypocenter depth recalculated from 581.0 to 579.0 km. Hypocenter depth recalculated from 579.0 to 571.0 km. Hypocenter depth recalculated from 571.0 to 570.0 km. 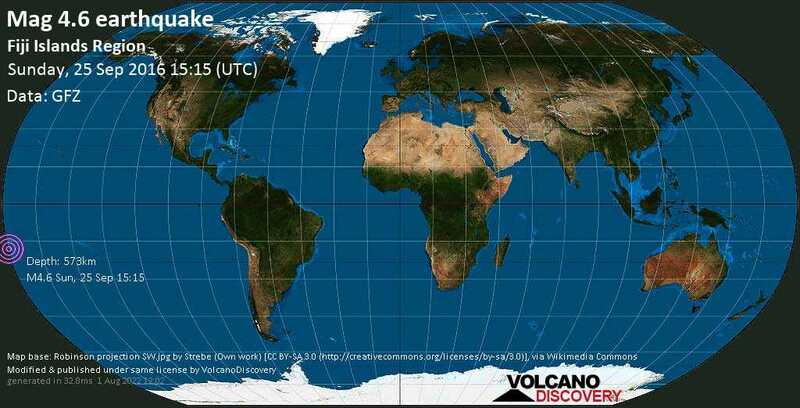 Sep 26 09:36: Magnitude recalculated from 4.7 to 4.6. Hypocenter depth recalculated from 570.0 to 573.0 km.